Balances portability and screen size, so you get a respectable amount of viewing space without the laptop being too cumbersome for practical portability. 3-cell lithium-polymer battery. 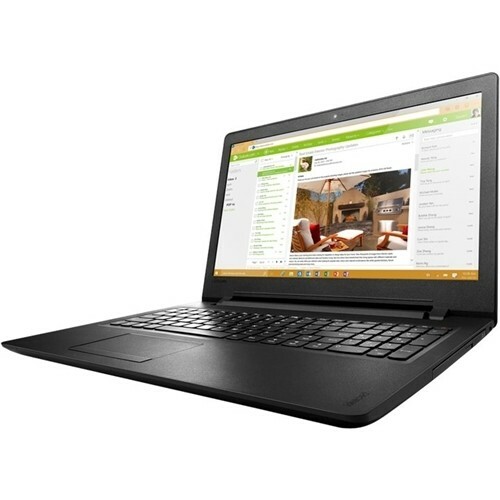 Click the button below to add the Lenovo - 110-15IBR 15.6" Laptop - Intel Celeron - 4GB Memory - 500GB Hard Drive - Black texture to your wish list.